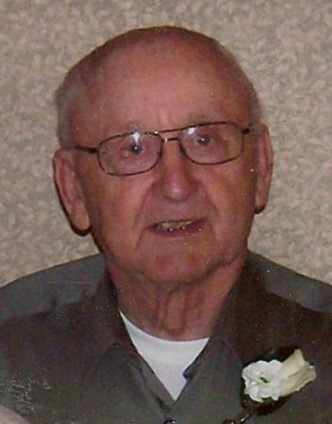 Willard (Bill) M. Kornovich, Sr. was born 5 April 1929 in Gilman, Minnesota. He graduated from Foley High School in 1947. Following school, he went to the Chicago area where he worked in construction as a carpenter and home builder. In 1963 Bill moved his family to a farm near Oak Park, Minnesota where he farmed and continued work as a carpenter. He was a long standing member of St. Louis parish in Foreston, MN. He was preceded in death by his parents Joseph and Grace Kornovich, four siblings and Patricia Kornovich with whom he had six children. He is survived by his wife Ellen Kornovich of Foley Heritage Nursing Home. Bill is also survived by nine children and step-children: Patricia Hinkemeyer, Carol LaFore, Jack Kornovich, John Kornovich, Laura Carrico, Barbara MacKenzie, Darlene Pratt, Willard Kornovich, Jr., and Allan Cerqua. A Memorial Service will be held on April 5, 2019, on his 90th birthday at St. Louis Catholic Church in Foreston. Service with Dignity provided by the Foley Funeral Home.